Thank you so much for the post card. 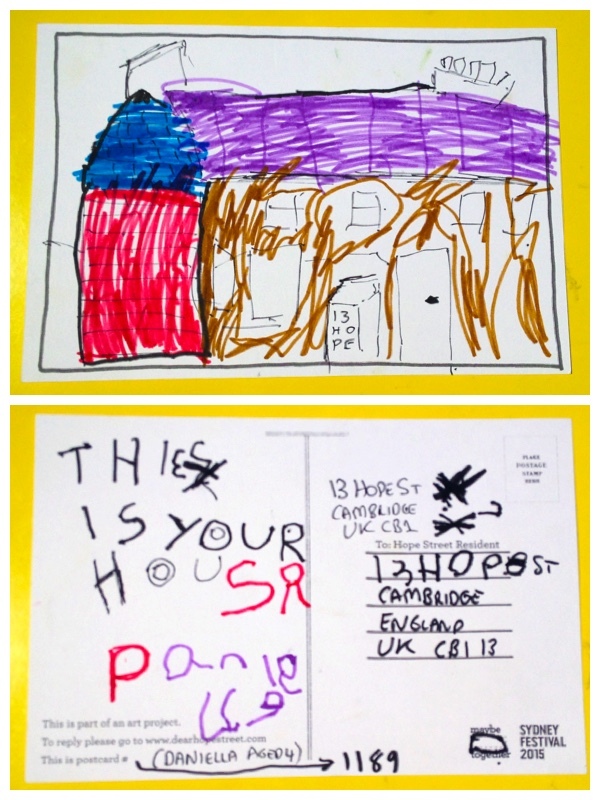 We love the drawing of our house, it’s very pretty :). our favourite thing is the big chimney on the top.